With a background in political polling (having worked on elections on both sides of the Atlantic), Greg Nugent likens a brand or business to a political campaign. In the run-up to the Olympics, he and his team engaged 23,000 community leaders and weaved a thread from the athletes through to the public, with the aim to create ‘A Games for Everybody.’ He suggests that a brand needs to speak to people, avoiding corporate language internally and externally, whilst remaining consistent and reliable and maintaining a focus on the organisation’s purpose. In presentations Greg draws lessons from this once-in-a-lifetime event that apply to any brand or business, of any size or type. They range from the importance of planning, training and defining a vision to developing a customer experience and involving everyone in the challenges faced by the organisation. 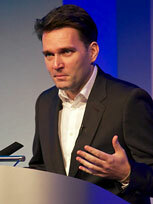 He relates his message to the specific conference and business themes, and includes stirring footage from London 2012. 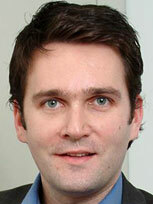 Before joining LOCOG Greg was Head of Marketing at Eurostar, where he helped steer HS1 and the move to St Pancras. He has since acted as strategic advisor to HS2 and as Deputy Chair of The Join In Trust, is building on the volunteering legacy of the Gamesmakers to help community sports clubs.